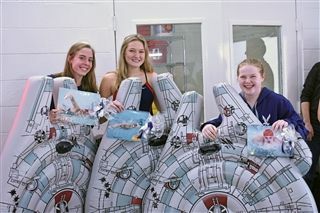 Senior Falcon swimmers were recognized at the last home meet on Thursday, January 24th before competing in a conference match up against American Hebrew Academy and Trinity Academy of Raleigh. Seniors Hannah Burns, Sierra Huffman and Lauren Millard were honored. 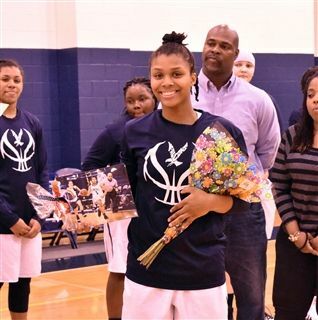 Before and in between games against Trinity Academy of Raleigh on Friday, January 25th, varsity girls basketball honored the only senior, Ralayah McRae. 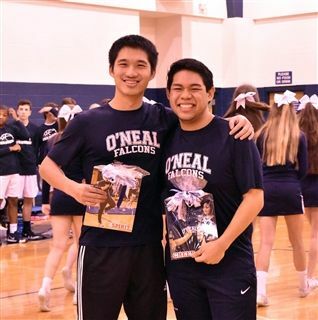 The cheer team recognized seniors Andrew Phan and Turbo Meng. 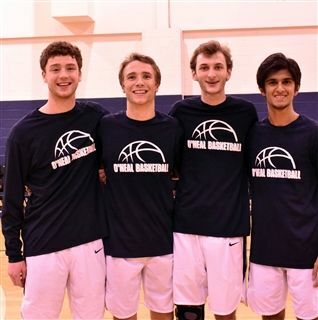 Varsity boys basketball recognized Andy Jenkins, Nolan Meese, Bennett Moore and Avi Patel.